The session today is a deep dive into setting up Amazon sponsored products for our product launch. If you caught last week’s session on Product Launch Strategies, you saw Greg dive into the first two parts of a product launch: email campaigns and promotions. The third part of the launch strategy involves pay per click advertising, which means running paid advertisements to get your product listing in front of relevant traffic. We have covered some basic and advanced pay per click topics in the past. 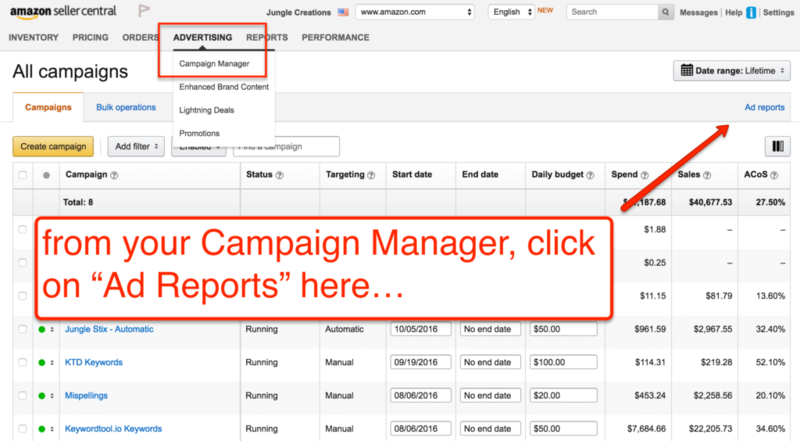 You can check those for additional insights on setting up, analyzing, and optimizing your Amazon pay per click campaigns. 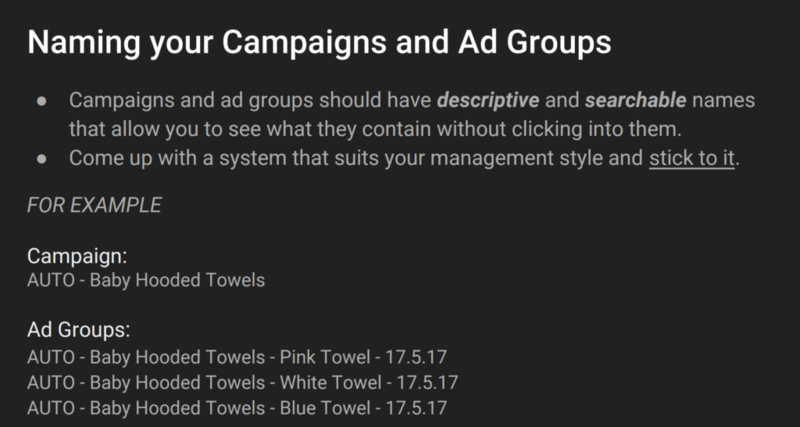 And also make sure to check out Session 11 of the Million Dollar Case Study, where Kym and Greg do keyword research for our hooded baby towels to find the most relevant keywords for the product. Last week, we also ran a little contest to hear from you about how you are impacted by the Million Dollar Case Study. As we didn’t add a suffocation warning label and don’t have one ready, the poly bag will be removed. When creating the design, Greg made sure to include an exposure to the towel that was less than 1” wide exactly so that a poly bag would not be needed. So, now to the good stuff… setting up a pay per click campaign! In this session, we were joined by Brent Zahradnik of AMZPathfinder, an Amazon PPC consultancy. We covered some of these tools in Session 11 of the Million Dollar Case Study, but it’s always interesting to see what’s in someone else’s toolkit. Our Keyword Scout tool is included in the Jungle Scout Web App at no extra cost! And interestingly, the most important tool is what will be unique to your product listing: the actual customer search data that drove visitors to your product page. A few notes about this: in order to run sponsored ads, you will have to control the buy box. For private label sellers, it is assumed that you will control the buy box, as there should be no one else selling your product. The other caveat is that you can only get customer search queries if and when you are running paid campaigns. Campaign Structure: What is the best method? Similar to the tools a given marketer uses, it is always interesting to see how someone running paid campaigns structures their campaigns and ad groups. Everyone has their own preferences, but the most important priority is that it is a structure that is well-organized, easy to understand, and scalable as you add more campaigns and ad groups. Brent has an elegant two-pronged approach to starting with pay per click campaigns for new products. He likes to start with Automatic campaigns to ensure that he created a good listing with relevant keywords (basically that Amazon is understanding the product correctly), and concurrently run Manual campaigns for keywords that are assumed to be relevant. Automatic Targeting: Amazon determines which search queries will trigger your ad. You set a maximum bid price, and Amazon does the rest. Manual Targeting: You select the keywords, match type, and maximum bids. Exact Match: The customer’s search term must match exactly the keyword in order for the ad to show, or close variations of the exact term. Exact match is the most restrictive match type, but can be more relevant to a customer’s search. Phrase Match: In Phrase Match, the customer search term must contain the exact phrase or sequence of words or their variations. It is more restrictive than broad match, targets more specific audiences, and will generally result in more relevant placements for an ad. Broad Match: This match type offers your ad broad traffic exposure. A customer search term will match if it contains all the keyword terms or close variants (plural forms, acronyms, stemmings, abbreviations, and accents). The customer search term can contain keywords in any order. Brent recommends starting an Automatic campaign from the very beginning. You can see how Amazon analyzes and interprets your listings. 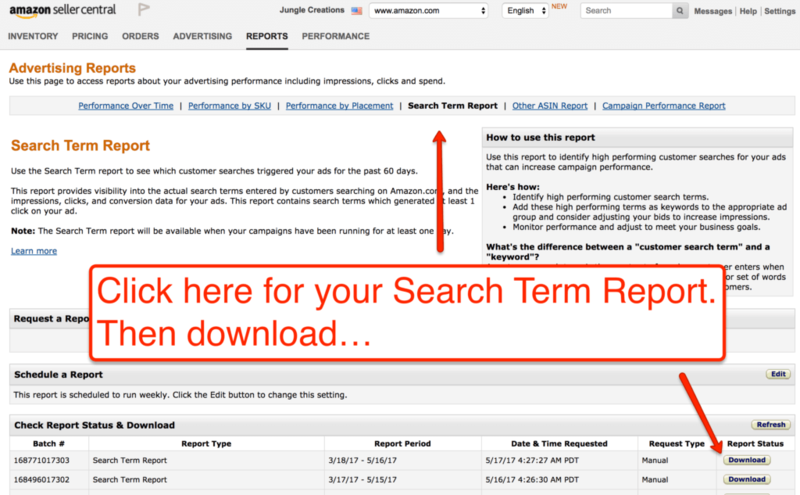 Basically, as Amazon scans through the keywords you added to your Product Title, Product Features, Description, and back end keywords, does it ultimately show your product ad on the relevant keyword searches? Running an automatic campaign will answer that question. Amazon’s main priority is generating relevant search results for a given customer search query. Of course, Amazon wants to maximize the likelihood of a click turning into a sale. And because Amazon has troves of data on what searches result in customer purchases, the algorithm may show your ad on new keywords that you didn’t anticipate. You can’t identify such new keywords if you only run Manual campaigns. Start the budget at $10-$15 per day. Start the bid at $0.35, and increase the bid $0.10 ever two days, while monitoring spend. Stop when you start maxing out your campaign budgets on a daily basis. After a few weeks, you will have a better gauge of actual cost per clicks for keywords, and then you can shift more of the spend towards Manual campaigns, where you have greater control of which search queries your product shows for. Remember the keyword research that we mentioned above, and covered in Session 11? It’s time to make use of those efforts again. This is why it’s an important task to do thoroughly as it will help you for many months to come. Brent recommends starting with a Manual campaign using keywords that you anticipate to convert to sales, based on your research, and then let the campaigns run to see which keywords actually do generate sales. You want to create separate ad groups for each child SKU. Additionally, you can organize by match type to facilitate your bidding and campaign management. Start with a budget of $20-$25 per day. This is your maximum budget, not necessarily what you will end up spending per day. Brent recommends starting the ad group bids at $0.85, which is higher than the Automatic bids you created above. You can use Amazon’s bid suggestions to help guide you as well. Now that you’ve done the hard work, let the campaigns run for a week or two. You will want to monitor them on a daily basis, and pull the search term report a few times a week to evaluate impressions, clicks, and sales. This is going to be your most important report and source of information to feed back into your campaigns and keep them running like a well-oiled machine. It’s also pretty insightful generally, and you can feed some of the findings back into your Amazon listing optimization. As you monitor the keywords that you are bidding on, be sure that they are relevant search terms. This is especially true if you are running Automatic campaigns and/or broad match campaigns. Ensure that you don’t pay for unwanted clicks by adding negative keywords on an ongoing basis. Amazon has a 48 hour latency period—this means that your reports may not show any conversions immediately. So make sure that you are giving the data adequate time to accumulate before you make too many changes. Many thanks to Brent from AMZPathfinder for a great session on setting up the campaigns. We look forward to initiating the campaigns and having him back to analyze the data. In the next session, we have Scott Voelker from the Amazing Seller podcast speaking about Amazon SEO. Scott is a tremendous wealth of knowledge about growing an Amazon business, and he will share his strategies for leveraging search engine optimization to generate more organic traffic to our listing. Make sure you head on over to catch up on this invaluable session here. The manual campaign that you start along with the automatic campaign initially, which match type do you choose ? Do you recommend launching the same manual campaign for all three match types, along with an automatic campaign, to start the PPC process for new product? We recommend starting with broad. And then, after you’ve run the campaign for about a week, take the words from your search term reports and make those into exact or phrase campaigns. Exact usually costs more, but tends to have better conversion rates so it ends up being cheaper in the long run. In order of “long tailedness” it’s Amazon Automatic > Manual Broad > Manual Phrase > Manual Exact. The further down the line you go, typically, the better conversions and ACoS you’ll see for that keyword. So think of it as “carving down” to your perfect set of keywords. Yes. Think of running ads like fishing. Auto-targeted ads are like dragging a net along the bottom of the ocean. You might pick up some weird things you don’t want, but in the end you’ll also get a lot of extra fish (keywords) you wouldn’t have known about. On the other hand, manually targeted ads are like throwing spears at the fish. It’s a lot better targeted, but only on the words that you want to go for. So while you might not get as many random clicks (and end up spending less in ads), you might miss a few clicks you wouldn’t have otherwise thought of. Both work very well together. Products I’ve sold for two years still use auto-targeted ads, albiet I barely spend $0.50 per click since my manual campaigns are now so optimized. When starting on the Manual Campaign, which match type should we start on first? Broad, Phrase or exact? Great question. The method I’ve used (and I believe Kym, Gen, and Greg do as well) is start off with Broad. Then, once I have a report on keywords that have come from Broad, I put those into Exact keywords, if that makes sense. I’m figuring out how best to package my product – and I prefer to use a box instead of a polybag, just like it was done for this case study – it uses less plastic, and has a nicer touch to it. However, everything I’ve read on product prep indicates that Amazon would need a polybag wrapped around textiles, whether it is boxed or not. Would you be able to guide me to the prep guidelines that talk to not needing a poly bag, as mentioned in the quote above ? I think we were able to go without the poly bag so long as the gap in the box was less than 1″ wide. You could do the same sort of thing if your product is a textile. Or use a box with no holes or gaps in it at all. Above all – make sure that your product will not get dirty or dusty in transit or in the warehouses! I have been using sponsored ads for a while now, both auto and manual. I have not been getting the results I want, with an ACoS of over 100%…where I am losing money. I have followed all the steps from the case study, please can you provide some advice/help? Hard to really say without knowing more details, but some quick thoughts: check your search term reports–maybe you are paying for irrelevant traffic? try reducing bids on those keywords that are converting. also try moving those converting keywords to phrase and eventually exact match, as they can be more bang for your buck by allowing you to be more targeted. hope that helps! 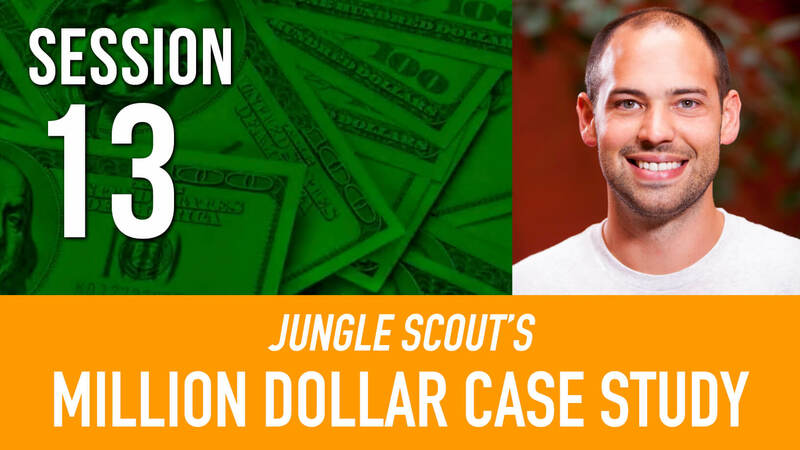 Near the beginning of this video, Greg says you are forecasting Jungle Snugs to profit $250k in the first year. How are you computing this forecast? Do you have any other videos/resources that explain this analysis? This is a “back of the envelope” calculation, but you can arrive at a rough estimate by looking at Jungle Scout sales estimates for comparable products and previous experience, and forecast out for the year. of course there are many variabilities like seasonality, competition, changing market conditions, etc. hope this helps! Thanks for answering me in detail. There is no simple answer to this, as it will vary. It will depend on your niche, your budget and the variety of relevant keywords that are applicable to your product(s). I would never recommend paying for inappropriate search terms – that is, any search terms that are not performing well. Start with as many as you can find in your research and build from there. If you find hundreds of new keyword opportunities that you want to try, go for it, but just make sure you are consistently monitoring performance to ensure you aren’t wasting money. For keywords that aren’t performing well (have a high ACoS) you can try reducing the maximum bids gradually, or consider pausing them. Gen, Kym–there’s no video recap displayed. Hey Barry – whoops, not sure what happened there, they seemed to have disappeared. All fixed, thanks for the heads up. If I have a good keyword list that I’ve collected according to your instruction in Session 11. Can I put it all into the automated campaign, but in the negative words !! Great point well made. This is a great strategy, especially if you are pulling out those useful keywords into Manual campaigns (so that you can make them more targeted and have more control). You would then need to add those keywords as negatives in the Automatic campaign so that you are not wasting spend on those keywords in the Auto campaign. As you say, this would also force the automated campaign to target different keywords and continue to find new opportunities.